As development along the Brooklyn and Queens’ waterfront has increased dramatically over the years, transportation options—for residents old and new—has not. The number of glass towers, startups, and parks along the East River has only been matched by style pieces on new “it” neighborhoods from Astoria to Red Hook. But, now, the New York Times’ Michael Kimmelman has used his platform to launch a plan to change that equation, and give these neighborhoods the transportation system they deserve. 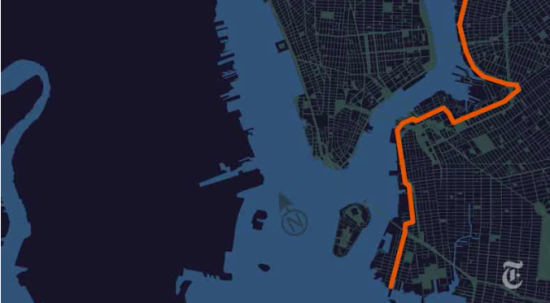 Kimmelman is proposing a modern streetcar to better connect these waterfront neighborhoods. He explained that a streetcar system takes less time to build than a new subway line, needs less space on the road than light-rail, and is more romantic than a city bus. “By providing an alternative to cars, streetcars also dovetail with Mayor De Blasio’s vow to improve pedestrian safety,” Kimmelman said, adding that the mayor wouldn’t need Albany’s blessing for this plan. Read Kimmelman’s full proposal at the NY Times.